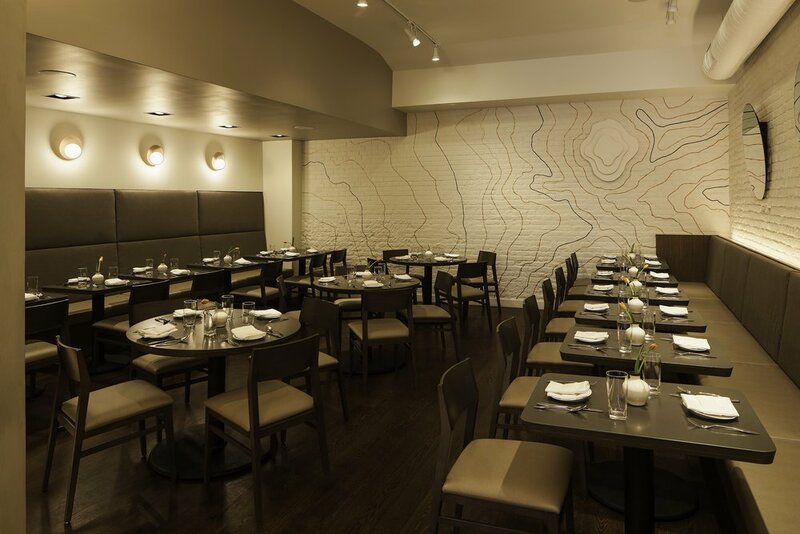 Designed by Revamp Interior Design, Tavo is a fusion restaurant located in the heart of the West Village. Taco was born from the partnership of Chef Julieta Ballesteros with owner Francisco Decrescenzo; Tavo, named for Francisco’s grandfather’s nickname, showcases the eclectic experiences Chef Julieta has had over the years, from her early days at Mama Mexicana, to Crema, and Chino Latino. 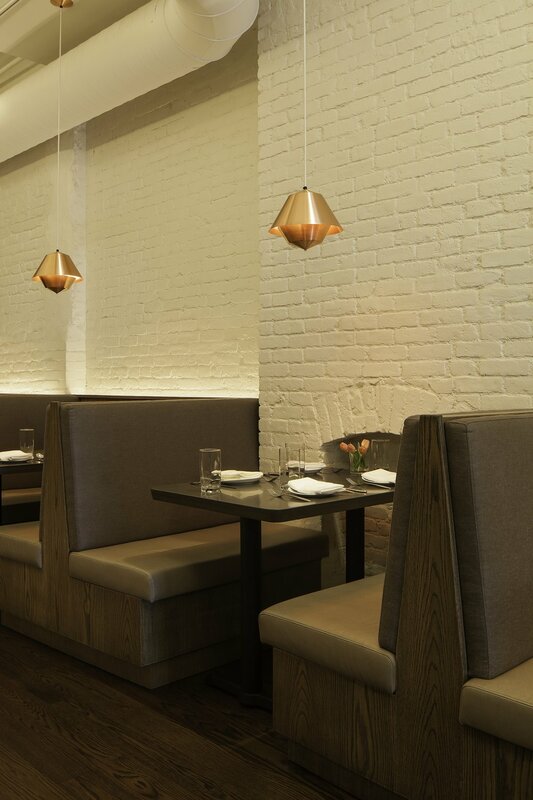 The restaurant exudes a warm modern atmosphere using white painted brick, copper, warm grey oak, and accents of green.